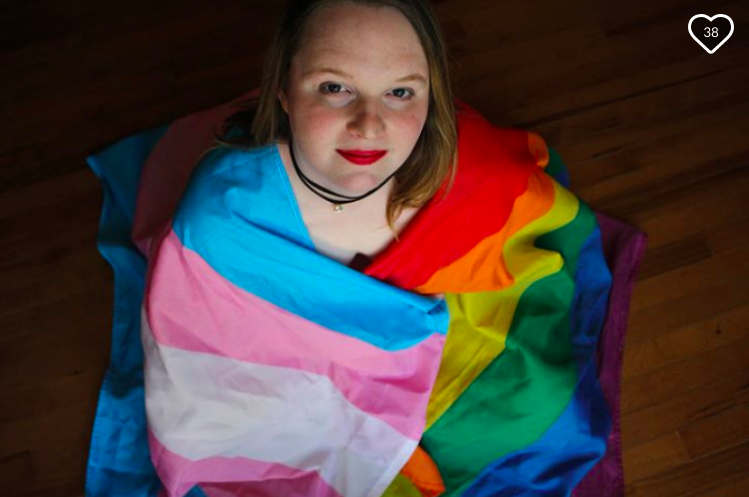 After she came out, Maddie Snyder worried she wouldn't be able to get her name and gender updated on her driver's license. Here's how the local LGBTQ community rallied to help her, and how Texas attorneys across the state are pitching in to help others. For those gathered at Morris’s house that night, there was a sense that the future of queer rights in America hung in the balance—especially those of transgender Americans. North Carolina had recently passed its infamous “bathroom bill,” and the Texas legislature was making similar noises. There were concerns (since realized) that a Trump administration would attempt to “erase” transgender Americans through federal means. “We were sitting around listening to each other’s fears about the future,” Morris recalls. “We talked about the number of reported homicides of transgender people in the United States, a number that has grown every year since I started tracking it personally four years ago.” Morris says part of the pain of such stories is the fact that police reports and media often refer to transgender victims by the name printed on their driver’s license or birth certificate—names that often don’t match the ones victims used in their daily lives. “I was very, very worried that a friend of mine was going to become a hashtag, and that we were going to have to fight very, very hard to have them recognized for who they are,” says Morris. Election night went on, and the results became clear. The mood in the room turned funereal. Morris walked into the kitchen, pulled out her phone, and messaged Madeline Snyder, a young trans woman who couldn’t make it to the party that night. Snyder, 33, is a soft-spoken graduate of Robert E. Lee High School and U.T. Tyler, born and raised here, who works in customer retention for a local communications company. After a lifetime of wrestling with her gender identity, she had come out as a trans woman the previous year and started the process of transitioning. So far, she hadn’t taken steps to update her state-issued IDs with her preferred name and gender. She worried the process would be too expensive, time-consuming, and stressful, especially for a trans person living in conservative Smith County on a modest salary. Morris felt Snyder could no longer afford to wait. On the other end of the phone, Snyder listened to Morris’s pitch: yes, it would take time and money, and yes, it would probably be a big headache. But under the new president, the opportunity could vanish altogether. Morris wanted to help Snyder get her documents updated before something like that happened. She had just organized an online fundraiser to help another trans woman in Tyler get sorely needed dentures; that effort raised $2,000 within a matter of days. Morris was sure she could get people in her networks to support this. Most people don’t think that hard about their driver’s license. When it comes time to renew, they renew. If there’s incorrect information on their card, they go to the DMV and get it fixed. But if you’re a transgender Texan and want to update your name and gender on your driver’s license, or any number of official IDs and databases, it can be quite a bit more complicated. According to an assessment by Texas Pride Impact Funds, a statewide advocacy group, just nine percent of transgender Texans have had all of their government-issued documents corrected with their name and gender. In the past few years, there has been a push to provide legal aid in a few places in Texas, like the pro bono Trans Name and Gender Marker Project at The U.T. Austin School of Law, which went from getting about three requests for help a week to “three an hour” immediately after the presidential election. But there’s nothing like that here in East Texas. The way Snyder saw it, a public fundraiser for trans people in Tyler would potentially mean more than money: it would be a way of organizing a base of support for the wider community, something to build on in the future. She agreed to let Morris start a GoFundMe page on her behalf, with one request: was there some way to pull in other transgender Tylerites who were in the same boat, and get a bunch of people’s documents updated all at once? Morris agreed; she’d already had the same idea. On November 9, 2016, the day after the election, she started putting the word out. Stories in the news about transgender people tend to focus on bad things that happen to them, from employment and housing discrimination to hugely disproportionate rates of violence. But effective organizing and activism happens within queer and trans communities as well, and trans people’s lives contain multitudes of stories worth telling. When empowering stories do get told, they tend to come from places like Austin, or San Francisco, or Brooklyn. Trans people have far less visibility and resources here in East Texas—but that doesn’t mean they’re not here, or that they’re not getting things done. 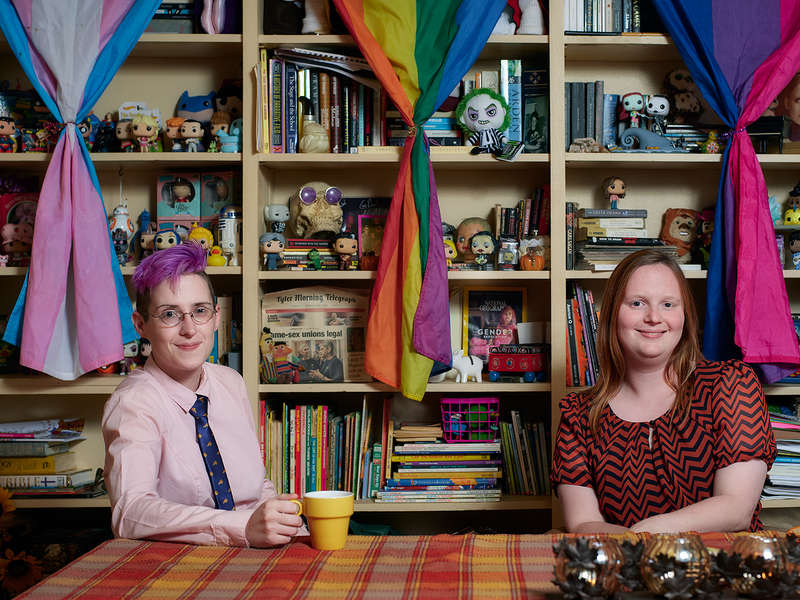 Morris and Snyder were high school students together at Lee, but became friends through the Tyler Transgender Support Group (TTSG). 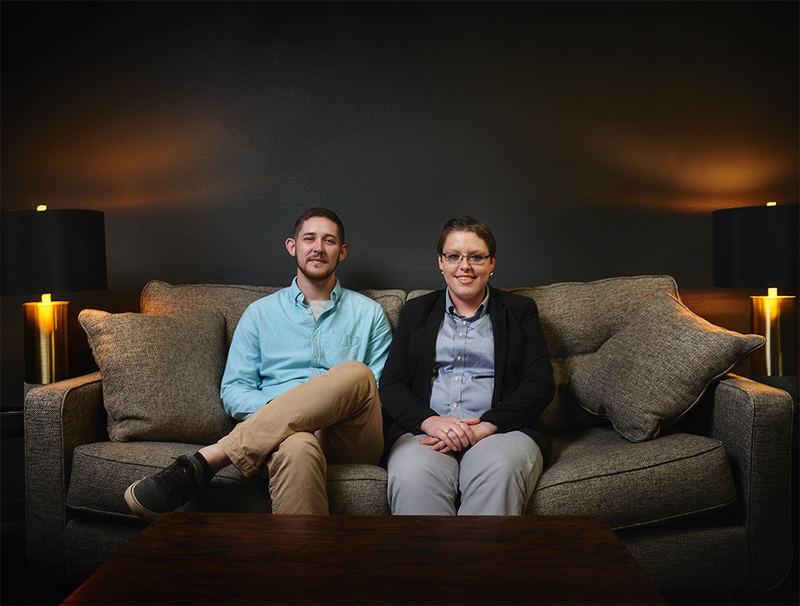 The group was founded four years ago by Sam Almeida and their husband, Wyatt, who came out as a trans man shortly after they got married in 2012. After a lot of discussion, Wyatt began the process of transitioning from female to male, with Sam’s support. Sam printed out a list of about 30 therapists within a 75-mile radius and started cold-calling, explaining that their partner was transitioning and needed gender therapy. “I got laughed at and hung up on a lot,” says Sam. The Almeidas finally found a local therapist, but there were other kinds of professional help Wyatt would need over the coming months and years, from hormone injections to surgeries to simply getting prescriptions filled. Hoping to avoid more dispiriting rejections, or having to travel to Dallas and beyond for all of Wyatt’s medical needs, the Almeidas wondered if anyone in Tyler had recommendations to share. Over time, the Almeidas found themselves having over a dozen such coffee dates a month. They created a public Google doc to collect and share names of doctors and therapists with whom community members had had good (or bad) experiences. In 2014, the official Tyler Transgender Support Group Facebook page was launched. Today, the group has over 300 members online; between 30 and 50 people attend its public meetings in the Genecov room of the Tyler Chamber of Commerce twice a month. The Almeidas say their membership has grown at opposite ends of the age range: school-age children coming with their parents, and seniors who finally feel the freedom to transition later in life. Less clear was how to handle other aspects of transitioning, like updating her state-issued IDs. At that point, TTSG had lots of medical providers to recommend, but nothing on legal advice. Wyatt Almeida was the only person Snyder knew personally who had gotten both his name and gender markers updated in Texas. It had been a frustrating and confusing eight-month-long process that cost him over $1,000 out of pocket. Snyder felt overwhelmed just hearing about it all. She put the whole issue out of mind for over a year, until Hannah Morris convinced her to take on the challenge after the 2016 election. At that point, Snyder and Morris decided to “do it the right way,” as Morris put it, and ideally create a blueprint for other transgender East Texans to follow. That meant fundraising enough money to pay not only for the background checks, fingerprint cards, and court fees they knew would be required, but also for a lawyer who could walk Snyder through the process, rather than have them go it alone. In the meantime, Morris looked for attorneys. She emailed queer support groups in other counties and searched under the hashtag #translawhelp on Twitter. She found a lawyer in Dallas who was actually willing to work with Snyder pro bono, which meant the fundraiser could also pay for additional trans Tylerites’ filing costs. In short order, three others, including Snyder’s roommate, joined the effort. The process of changing one’s official name and gender marker varies from state to state. Some make it easier than other, says Claire Bow, an Austin-based expert in trans law issues in Texas and a transgender woman. Bow spent many years as an assistant attorney general in Texas, as well as general counsel and later executive director of the State Office of Risk Management. She took her career in a wholly different direction in 2014, after spending an exasperating year getting her own name and gender markers updated in state and federal databases. After that, she decided to devote herself to trans law advocacy and legal aid in Texas. Today, she is past chair of the State Bar of Texas’s LGBT Council and a supervising attorney with the U.T. Austin School of Law’s Trans Name and Gender Marker Project. Bow says Texas is one of the more complicated states when it comes to updating name and gender markers. The National Center for Trans Equality gave Texas an “F” in this regard. First, you file a petition in court explaining that you’ve gone through an irreversible gender transition, and that you would like your official documents to match to avoid discrimination and confusion (it’s a good idea to include letters from your doctor and therapist). Then, you show up for a court appearance and have your petition reviewed by a judge. If the judge approves your petition and grants you a signed court order, you take certified copies of the order and notify various state and federal agencies—like Social Security Administration, the Department of Public Safety, and Vital Statistics—that they are required to update your identity in their databases. Today, that process is clearly laid out in documents you can find online, but just a few years ago, almost no one knew how to get through it. Even now, because these cases are relatively rare, many judges and lawyers have little to no experience with them. Judges may deny a petition for any number of reasons, from how far along someone is in their transition process, to whether or not they’ll accept a petition from someone who lives in another county, to, presumably, their own personal feelings about transgender Americans. Bow says judges who deny a transgender petitioner’s request aren’t necessarily doing so out of bigotry. “Clearly there are some folks out there who, for religious or other reasons, continue to have an irrational prejudice against trans people,” she says. “But in a lot of cases, judges simply don’t understand whether they have the authority to do this. That’s why ‘shopping’ is a constant topic of discussion in trans groups.” Through online forums and organizations like Tyler Transgender Support Group, people in counties across Texas trade information about which local judges are well-versed in trans issues and which aren’t, and advise petitioners to schedule their court appearances according to who’s on the docket on a given day. When Morris and Snyder launched their fundraiser, they knew they weren’t going to file petitions in Smith County. Just the previous year, a transgender woman named Bobbi Ingram made local headlines after her request to change her gender marker was turned down in Smith County court. “Every person that I know that’s ever tried to get their gender marker change here has been told ‘no,’” says Snyder. “Judges will grant a name change, usually, but I have not seen anyone go through and actually get a successful gender marker change.” In Snyder’s view, the “demographics of Smith County”—an electorate that consistently votes for conservative candidates, including judges—explain why. In March of 2017, the Tyler Transgender Support Group held a special meeting to let members know that a fundraiser was underway and that members with limited financial resources could approach Morris about joining the effort. Morris passed out informational packets cobbled together from online sources and her conversations with trans-friendly lawyers in Texas, including samples of scripts for talking to judges, sample letters from therapists and lawyers, petition forms, and so on. At this point, the whole thing started to feel very real to Snyder. “I tend to assume the worst, just because you don’t want to get your hopes up,” she says. But she couldn’t deny the success Morris was having with fundraising, the widespread interest among members of TTSG, and the fact that Texas lawyers who’d never met anyone in the group were willing to contribute their knowledge and time to the effort. “You start thinking less about all the ways it could go south, all the little errors you could make along the way. You realize there’s a group of people that you’re doing this with. You’re not alone,” she says. 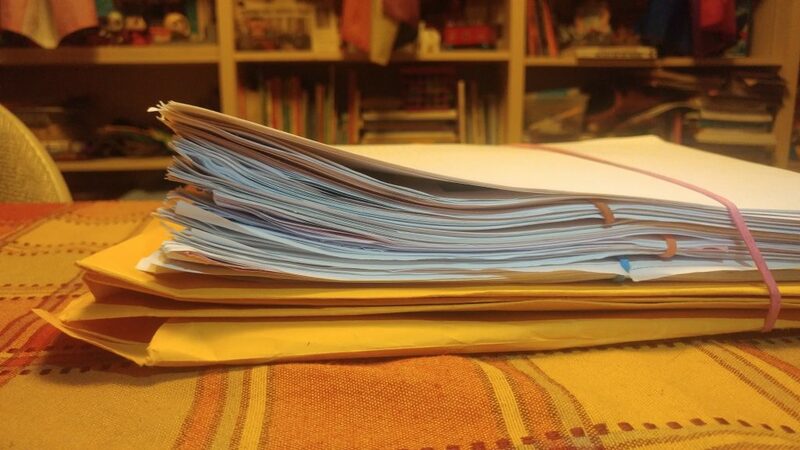 The next year felt like a never-ending parade of paperwork and to-do lists. Snyder and the three others Morris was helping had to get letters from their medical providers, background checks, and other supporting documents; submit information to the pro bono lawyer to write up their petitions and get them filed in court; book trips to Dallas when their court dates were scheduled, and so on. Morris’s home office served as central command, littered with manila folders and stapled documents, and Morris served as the point person between the lawyer and the rest of the group. Within a few months, three of the four petitioners were granted their name and gender changes. Snyder wasn’t one of them. Her April 2017 court date happened to fall on her birthday, and she had driven to Dallas with her best friend the night before. “I was trying not to get too excited, but it was like, ‘That would be the best birthday present to myself!’” she says. They arrived at court and met with the lawyer, who informed them that there had been a scheduling change. The judge Snyder had expected to meet with—and who had approved her friends’ cases without a hiccup—wasn’t going to be in court that morning after all. An associate judge the lawyer wasn’t familiar with would be handling Snyder’s case instead. When Snyder’s time came, the associate judge expressed uncertainty over whether she had the jurisdiction to weigh in on Snyder’s petition. “She was asking, ‘Why are you not doing this in Smith County, where you live?‘” Snyder recalls. “That’s when I knew it probably wasn’t going to happen.” Texas statutes are open to interpretation as to whether a petitioner can apply for a name change in a different county from where they live; some judges allow it, others don’t. The lawyer accompanying Snyder was inexperienced in dealing with this question. “In the end, the judge said that she didn’t feel comfortable doing it. The lawyer said she would try and get more information, and we would go from there,” says Snyder. Morris had other plans. “This whole thing started with Maddie, so there was no way we weren’t going to finish her case,” she says. Morris reopened the fundraiser, explained what had happened, and within days raised an additional $1,300. That was her target amount to cover not only the cost of securing Snyder’s background check, fingerprints, and so on all over again—the originals were now out of date—but to hire a dedicated lawyer this time around, rather than rely on someone’s pro bono time, and hunt for a Dallas attorney with more experience in trans law. Claire Bow, the Austin-based trans law expert, says assisting with name and gender marker changes is one of the fastest-growing areas of pro bono legal work. “I think a lot of lawyers care deeply about civil rights,” she says. “They see this as an area where we have serious problems, and they want to get involved.” Bow notes that a handful of trans law legal aid projects, like the one she assists with at the U.T. Austin School of Law, have popped up in Texas since she started working on her own name and gender change in 2012. “Things have gotten enormously easier since I did mine,” she says. Tyler Transgender Support Group’s Sam Almeida agrees, noting that low-income petitioners can apply for reduced court fees, and that some county courts have begun to streamline the process. “If you can travel to Austin to file your petition, you can actually show up on a Friday morning and have your court order within four to six hours,” says Almeida. As for Smith County, however, TTSG continues to advise against filing a petition here. Bow says that’s probably wise. She says trans legal advocates hope to work with the Texas Office of Court Administration to set up regional trainings for attorneys and judges across Texas to help familiarize them with trans law issues, including name and gender changes. “If you’re in a jurisdiction where the courts have not seen these cases, having even one lawyer around who understands this process so the judges can follow their lead can be incredibly helpful,” says Bow. Until then, Morris says she and others in the region learned enough over the past two years to help more East Texans prepare and file their documents on their own in outside courts, without having to pay for an attorney. Currently, Morris has a list of six more locals she’s planning to advise, and is ready to raise funds to help with their filing and travel costs. This story was made possible by a grant from the Solutions Journalism Network, which is dedicated to reporting on ways individuals and communities can come together to solve problems.